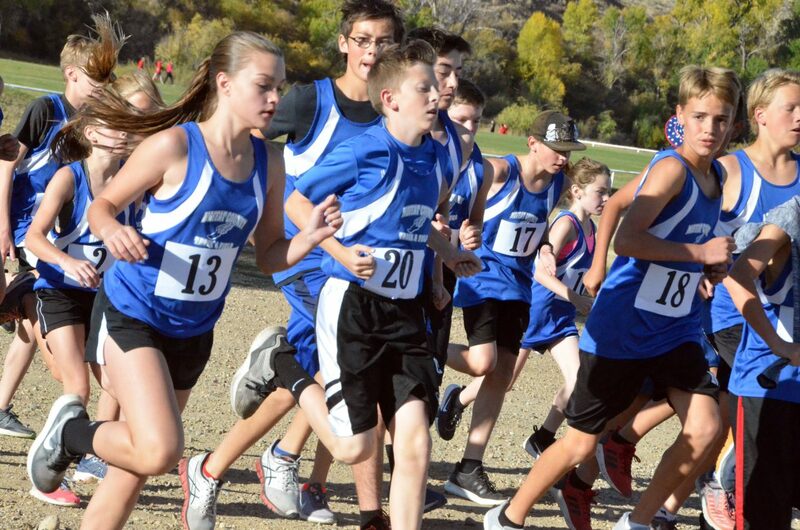 Craig Middle School cross country runners warm up Saturday before the Moffat County High School Invitational. CMS teams will wrap up their fall seasons this weekend, as cross country competes Friday in Delta, football hosts East Grand Saturday and volleyball takes on the district tournament in Meeker. 8 a.m. Friends of Moffat County Education 5K and One-Mile Fun Run at Loudy-Simpson Park, 600 S. Ranney St.
9 a.m. Craig Middle School football vs. East Grand at CMS, 915 Yampa Ave.
6:45 p.m. Memorial Regional Health Glow Run 5K at Colorado Northwestern Community College, 2801 W. Ninth St.